After reading an article about hard disk cloning with Clonezilla on Lifehacker, I decided to take care of my laptop’s dire need of free space by buying a new, larger internal hard disk – instead of buying an external one – to replace its current one. I figure I can shave about IDR 150,000 in the process while learning one or two tricks on hard disk cloning – an area I’ve never touch in my entire life before. Little that I know that the experience was anything but smooth. The fact that the article described a different condition with the one I was facing hit me hard. You see, I’m trying to replace a smaller (160 GB) hard disk with two partitions (system and data) with a larger (500 GB) hard disk (which I was intending to be partitioned into two as well). Apparently this complicates matters quite a bit. So, in case you have the same predicament as mine, I’ve documented the right way to do it below. Before we get started, here are the things you’ll need and should prepare beforehand. A zipped copy of Clonezilla. A USB flash disk with enough space to house the Clonezilla – 128 MB ought to do it. Windows 7 original installation DVD. A SATA-to-USB external hard disk enclosure. Patience. A lot of it. After that, here is the right step to move your Windows 7 partitions from a smaller hard disk into a larger one. Prepare your Clonezilla-on-a-stick. Follow the instructions carefully. Using the SATA-to-USB external hard disk enclosure, create a primary (system) partition on your new, larger hard disk. Follow the instructions here. 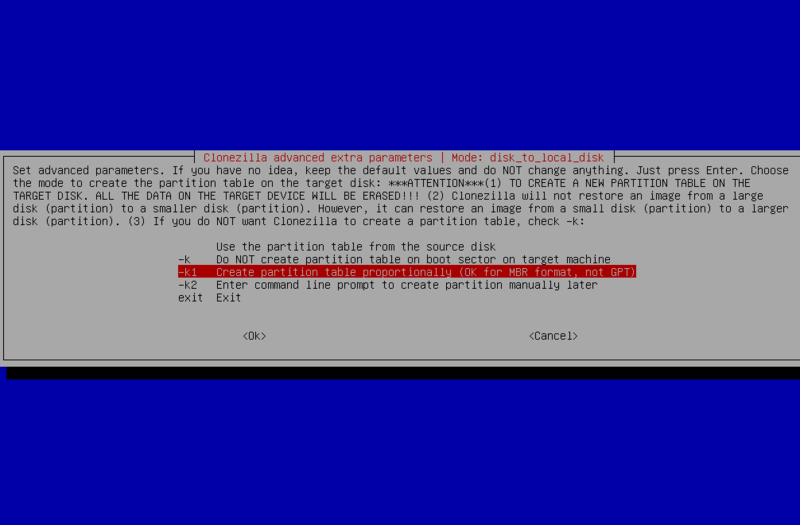 Format the new primary (system) partition with NTFS. Leave the second partition unallocated. Switch your larger hard disk with the one installed on your laptop. Come on, use your elbow grease once in a while, people! Put the larger disk in the laptop and the smaller one on the SATA-to-USB interface. If the SATA-to-USB is still plugged-in, unplug it. Plug the Clonezilla-on-a-stick and boot from that location. 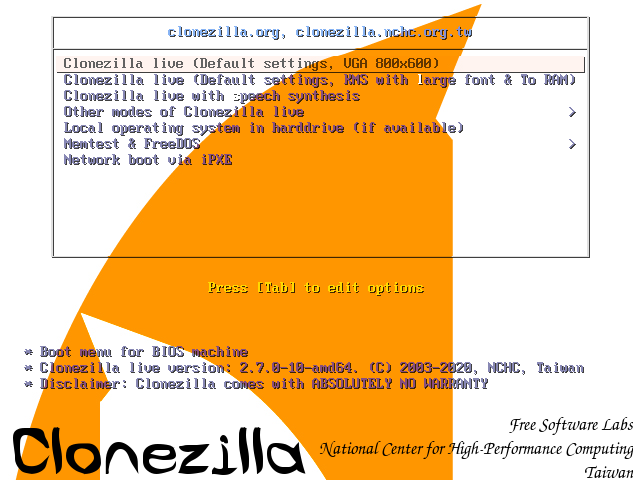 From the boot menu, choose Clonezilla live (Default settings, VGA 1024x768). Just press the Enter key when prompted for default language. 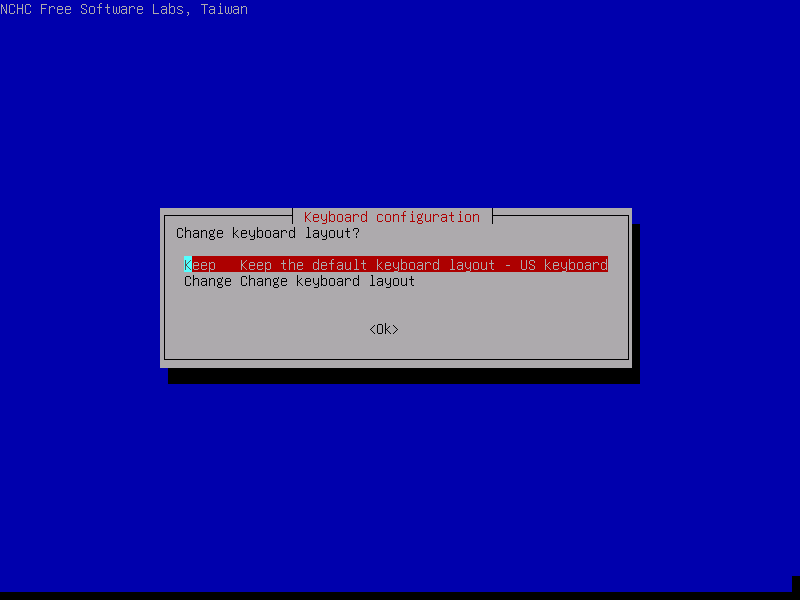 Press the Enter key again when prompted for keyboard layout. When prompted, choose device-device operation. You can plug the SATA-to-USB back in. Clonezilla will automatically detect the old drive. At this prompt, select the part_to_local_part option. Choose the source and target disk carefully. Make some changes to the default extra options to Clonezilla expert mode. 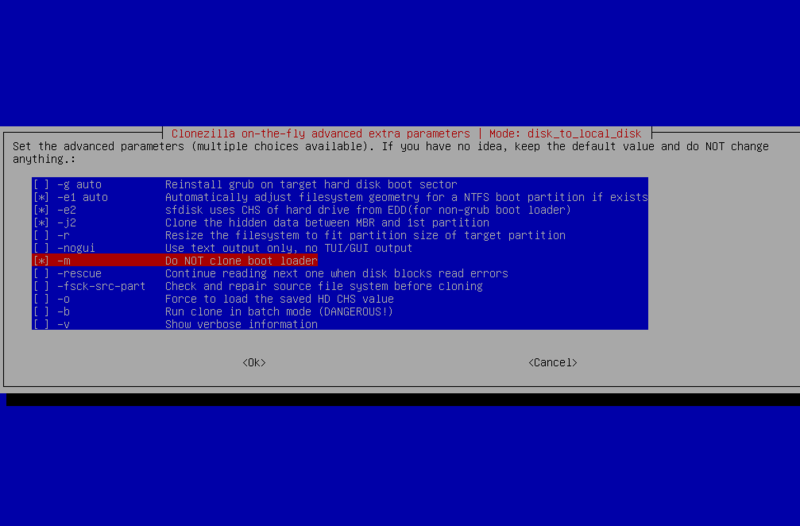 Make some changes regarding the partition table to use the -k1 option. After a while (depending on the size of your disk) the cloning process will be done. Turn your machine off and unplug the Clonezilla-on-a-stick and SATA-to-USB interface. Insert your Windows 7 original installation DVD to your DVD-ROM drive and boot from the DVD. Run the Windows 7 System Recovery Options. Follow the instructions here. Run the Startup Repair options of the Windows 7 System Recovery Options. Before doing this, you have to make sure that the partition is marked as “active” [Thanks to Jesse van Oort]. Afterward, follow the instructions here. Reboot. You should be having your old Windows 7 installation running normally on the larger hard disk by now. Create your second partition and format it now. Connect your old hard disk through the SATA to USB interface and copy your old second partition’s files to your new one. That’s it. If you do the steps carefully, all will be well. Hopefully. Hi Ralph, thanks for the info. One thing though: before step 22 you should have made your new partition ‘active’, otherwise the Windows Repairtool will have a problem. Actually, I’m not Ralph. But, your comment is duly noted. Thanks for the correction. I used Clonezilla to clone a Windows 7 partition, and it worked well. I didn’t have to do steps 21 or 22. The drive had the 100MB Windows 7 partition, a boot partition, and a 2nd partition. Clonezilla took care of it all. 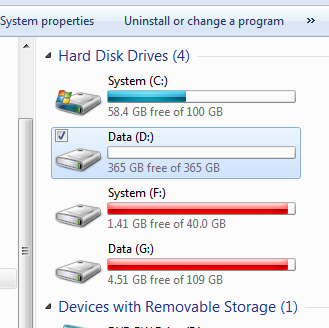 Then, I could go into Windows and expand the 2nd partition to fill the disk. it sounds like Mike cloned ‘a disk’ not ‘a partition’. i’m not sure but i think i did that without problem (steps 21-22) about a year ago as well. keep in mind that clonezilla will only clone a disk to a bigger disk. Didn’t work for me after several attempts. What I’m left with is a 200MB RAW partition (where the bootloader should be), and a 111GB RAW partition where the data should’ve been. Over and over. 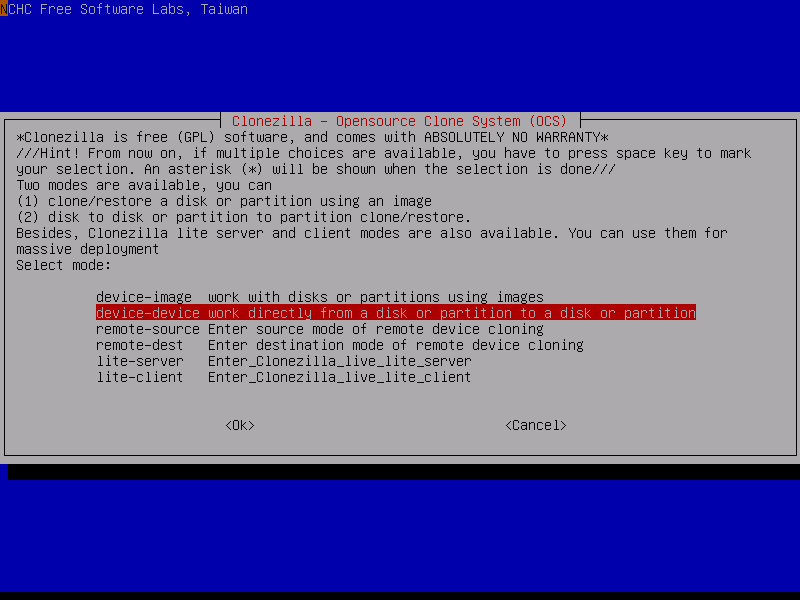 I’m so sick of clonezilla… I’ve got it to work *once*. And now, again, after 2.5 hours of repeating the same steps over and over, I could’ve just reinstalled Windows and the few apps I had installed on my SSD in *much* less time. So sorry to hear that. Since I just have a single experience with Clonezilla, I don’t know what else to say. clonezilla is good backup software. recently i found easeus todo backup free version is also good freeware, easy to use and reliable. it can clone or backup and restore hard drive. Thanks for the tips. I’ve heard of the software but haven’t really tried it for a spin. many, many thanks. i spent a ridiculous amount of time trying to clone to a bootable win7 disk with clonezilla until i finally found your instructions, which worked perfectly. much appreciation…! The pleasure is mine. Glad I could help. Useful article. However a small improvement: instead of relying on the images include details of the specific parameter changes being advised in the text. Specifically in the critical step 16 where you say “Make some changes to the default extra options to Clonezilla expert mode.”. In fact because getting these parameters is so important I would recommend including a copy of your final Clonezilla command line used to make the clone. Many people don’t understand that the -r and -k1 options do not automatically fill the new free space in to a single partition for you. Many are confused why they cannot expand it after, and this is because it must be contiguous with the unallocated space, and normally it won’t be due to the BDE drive, which isn’t needed if you copy the system files to C and make it active, now it will be the actual system partition. Nice one. I might have experienced tunnel vision when doing my cloning back then. Thanks for the info. This worked for me but had a few problems getting the cloned disk to boot. I had to follow these instructions http://sourceforge.net/projects/clonezilla/forums/forum/799287/topic/4727701 then also had to let it do a diskcheck on startup. But it worked finally! Glad everything worked out for you. Thanks for the additional information. For that, I’m afraid you have to look somewhere else. The above post is the only experience I’ve got with Clonezilla. If you work in a big company with 100 computers this procedure hes too many steps! With Acronis it is more easy. Backup the HDD and recover on other HDD without error message. 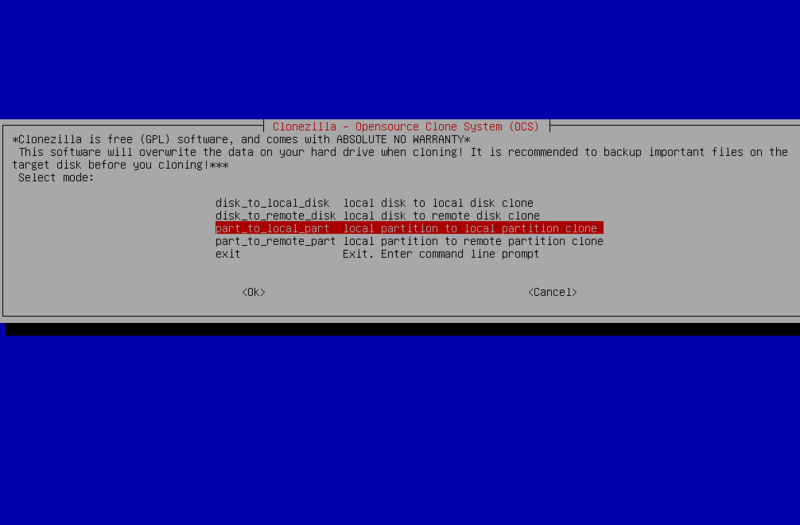 With Clonezilla if you backup and recover whitout using Windows DVD and going through all these steps you will get error message because MBR is recovered wrong. but i want to copy one partition which is having windows 2003 server . can i do the same process for that also ? I haven’t really tried it with Win2K3. However, I’m quite confident that the whole process will be quite similar. if you’re not booting after trying this process, make sure the windows partition is marked active with diskpart or another tool. Bootrec /fixboot is what got the OS booting again for me. To Make a Partition active just Run FDISK from Windows 7 DVD. Its for me the Best Comandline Tool ever! Hello, I’m curious about Clonezilla and NTFS. If I have a 750G Win7 disk, which is only about 20% full, shouldn’t the backup files contained in the Clonezilla directory add up to about 150G? I’ve been experimenting with this for a while, and I can never get Linux (even using DD piped through gzip) to ever compress the NTFS image. I’ve gone through the process of filling all the empty space with ‘zeros’ by creating a 10G file in linux using dd (dd if=/dev/zero of=/tmp/10g.zeros bs=1G count=10 ), and copying that over to the Win7, making copies and more copies of it, until all the free space is full. I then delete all the 10g.zeros files. This should make all the empty space continous/redundant, and great for compressing. 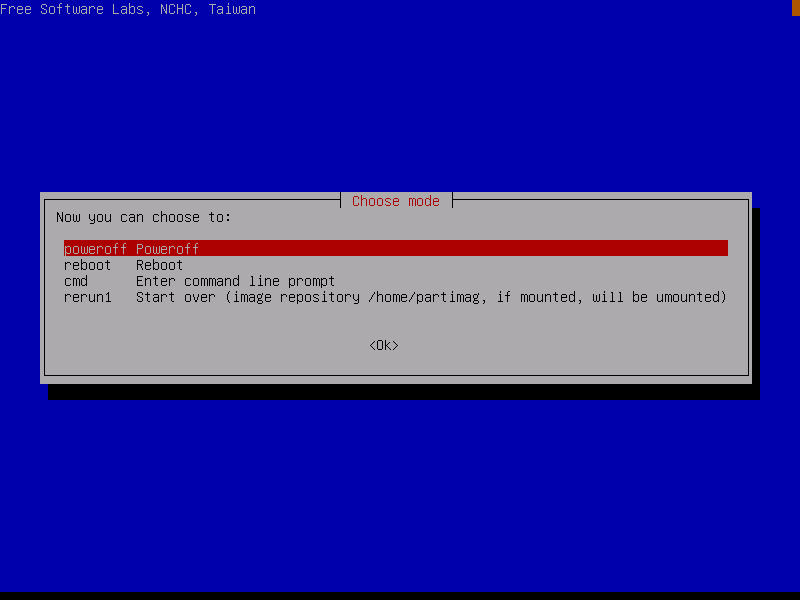 But even after doing this, my resulting files with Clonezilla are still adding up to the full 750G. Even the gzipp’d DD file I’ve created outside of Clonezilla (manually) is 750G. I’ve done this in Linux many times, creating DD.gz images from 1T drives as small as 6G. Is there something about NTFS which prevents this from working properly? I ran Clonezilla last night against a Win7 NTFS system, and am inspecting the files it created on my USB drive from a Linux system. A ‘du -k’ tells me the total of the files adds up to 733G. This entry was posted on Saturday, 24 April 2010 at 11:41 and filed under Excerpts from the Real World. You can follow any responses to this entry through the RSS feed.